The temperatures have been SO hot lately, and yet we still keep hearing about kids and pets left in cars. PLEASE PLEASE PLEASE do not leave your children or pets in the vehicle, even if it's "just for a minute". 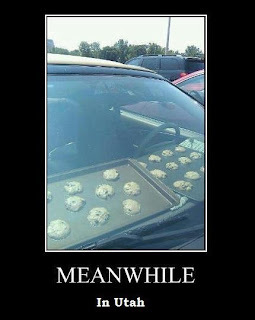 Our friends at Gines Auto Service have posted information and a video on how to bake cookies in your hot car. This is a great summer project, and a real eye-opener.